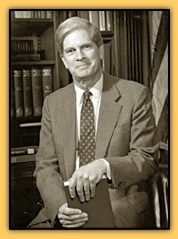 Dr. James H. Billington, a leading American historian of Russian culture and the Librarian of Congress, has traveled to Russia with presidential, congressional, academic, and church delegations during the past 40 years. In 1992, he arranged and brought to the United States the first exhibition ever held from secret Soviet archives with the cooperation of the Russian authorities. A Rhodes scholar at Oxford and former professor at Harvard and Princeton Universities, Billington is the author of the classic The Icon and the Axe, an interpretive history of Russian culture, and Russia Transformed: Breakthrough to Hope, an eye-witness account of the failed Communist coup of 1991 and of the emergence of Russia as a democratic nation. He has also authored the companion book to The Face of Russia series. I first discovered Russia as a very young boy visiting the New York World Fair in 1939. I realized, as I looked at those models of all the things they were building in the new Soviet Union, that this was a country where people thought bigvery big indeed. Then I was moved as a schoolboy to read about the heroics of the Russian people during World War IIhow they were able, at such vast cost, to resist the might of Hitlers war machine. Later I was shocked to find that Stalin was responsible for even more Russian deaths than Hitler, instigating cruel gulags and spasms of unparalleled genocide against his own people. I have been going to Russia for forty years, trying to understand the biggest land mass in the world and the psychology of a people with the most wonderful Utopian aspirations despite an experience of human suffering that few other peoples have known even in this terrible twentieth century. The Face of Russia is an attempt to understand the Russian people by looking at the amazing art they have created. This series, and a companion book bearing the same name, build on my earlier book The Icon and the Axe. Like that work, The Face of Russia seeks to open up rather than cover this vast subject. It is not an encyclopedic inventory but a selective look at how Russians suddenly and unexpectedly created great original works in the past. It focuses on five very different forms of artistic expression (painting, architecture, literature, music, and cinema) and on the anguish and aspirations of the Russian people that lay behind their great achievements in those fields. The Face of Russia will show how the countrys culture was shaped by three forces: its natural surroundings, its Christian heritage, and its contacts with the West. These forces provide not only a framework for understanding Russias brilliant but tormented record of artistic achievement but also a way of looking at its current efforts to build a constitutional rule of law and a participatory democracy. Like America, Russia is a continent-wide, multi-ethnic nation. Through The Face of Russia, audiences will get a glimpse into this very old and complex culture that is helping shape its post-Communist future.